Thanks so much for catching my mistake. I changed it to Pillsbury Grands Biscuits I hope you like them. They are so easy to make, and we loved them. Let me know if you try them. Sounds too easy and good to me. 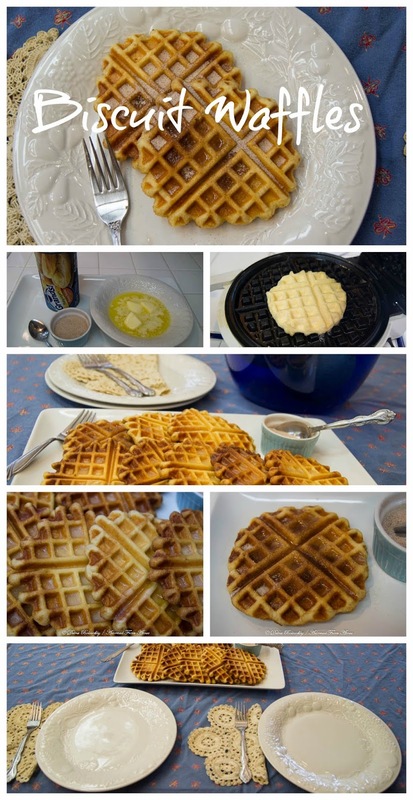 NO more messy waffle mix and not getting it right! Pinned! It is really easy, and they taste great. Let me know if you give them a try. Thanks for pinning. They sound positively delicious! Thanks so much for sharing at my Creative Ways Link Party! Thanks so much and thanks so much for your wonderful party again. Thank you so much. I hope that you both enjoy them. We really did. Have a great week and thanks so much for coming by. I really appreciate it.